Katie once told me that the ice is where she feels most like herself. Where she is the most free. For years she skated with a team. The coach could not have been sweeter, but the team itself was chaotic. No one ever quite knew which end was up nor where to be and when. There never seemed to be time to work on individual skills or for Katie to create and practice the solo routine that she so desperately wanted. Frustrated, she told us at the end of last year that she was ready to leave it behind. She asked if she could try a gymnastics class this summer. I was a competitive gymnast for years. She knows how much of my childhood was spent inside a gym. She’d seen the detritus of my athletic career hidden away in my ancient hope chest – she’d looked at the pictures, run her fingers across the dusty trophies, asked to hear the stories. She wanted to try the sport that had such a big part in shaping her Mama. She tried it. She liked it. But in the end it was her Mama’s sport, not hers. I would have bet the ranch on that, but she needed to come to the conclusion herself. The girls she knows play basketball. They play softball and soccer. My girl isn’t a basketball player. She’s not a softball player. Her favorite part of soccer was snack. My girl is a skater. As fall drew closer, Luau and I noticed that her language had begun to change. In conversation “since I’m not skating” became “while I’m on a break from skating.” We waited. She had to get there on her own. Luau found a coach. She’s good so she’s not cheap. We figured out how to make it work. We had to get creative. Once a week she’ll have a full session. 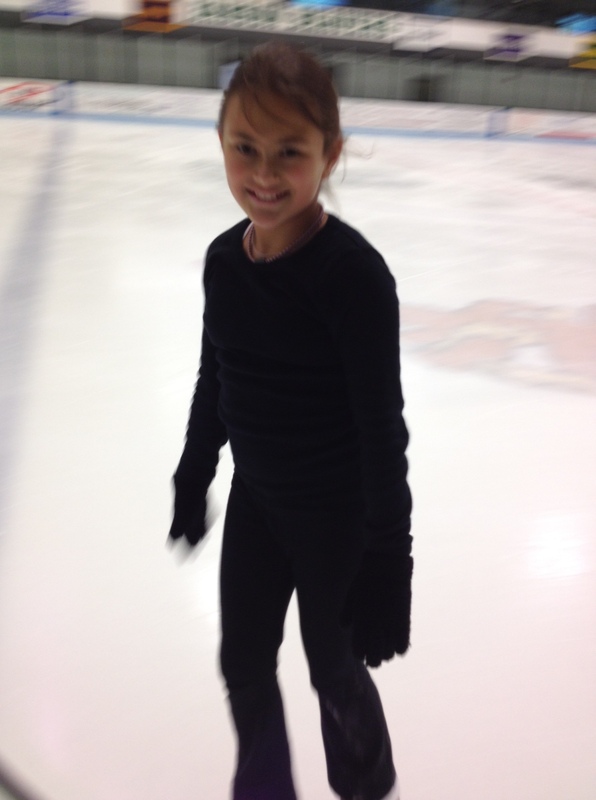 Once a week will be a half session, then she’ll stay on the ice to practice alone. Half is a Social Prags group. Full is a speech session. On Saturday morning, I gave Luau directions to the ballet studio. Katie had some things she wanted to show me. Jumps I will undoubtedly sound completely clueless trying to name — A toe loop, a half loop, a loop-dee-loop combo (I made that one up), a half flip (which thank God doesn’t actually involve flipping) and a Salchow. My kid, my beautiful kid, doing what makes her feel the most like herself. And free. Oh, and the lesson, of course. Isn’t there always the lesson? That if it’s not working – whatever ‘it’ may be, that doesn’t mean it can’t or won’t work in a different setting. Ed note: In case you missed it over the weekend, Katie is the Sibling of the Month in SHOUT OUT Online Magazine For Siblings of Kids with Autism. She’s interviewed by the magazine’s nine year-old editor, Gracie, which is awesome like seven ways to Sunday. Check it out HERE. I’m thrilled that Katie decided to go back to what makes her so happy (even if it means sitting in a rink to watch her competitions in the freezing cold). I’m so proud of her for being the Sibling of the Month! As far as I’m concerned, she’s the sibling of a lifetime. 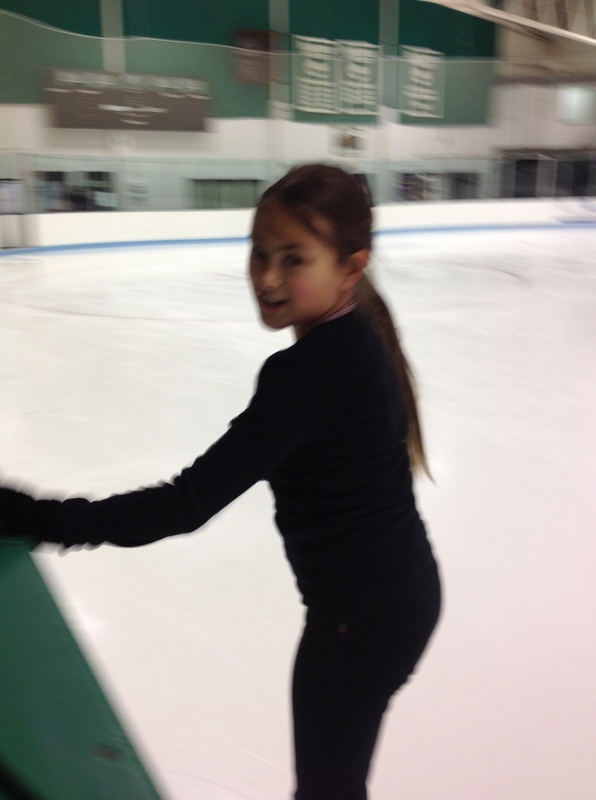 So glad Katie has found her way back to skating, and that is is where she feels free. Being on the ice certainly has a calming affect on Ryan, but maybe that has nothing to do with ASD. I swear I’m taking parenting lessons from you! You handled that beautifully. Exactly the way she needed you to. Way to go Jess and luau! I love that she has her happy place. That smile says it all. Our kids all deserve to find that place that makes them feel free and happy. OMG That second picture is so beautiful! So happy that she has found her place. Gracie is still looking for HER THING! I just signed her up for a fashion drawing class that she begged me to take. It is WAY too much money but she loves drawing and designing and so desperately is searching for HER HAPPY PLACE where people only know her as Gracie who loves to draw that well… we are finding away to make it work! I am hoping to be able to do a post with a picture of my girl with a smile like Katie’s soon.